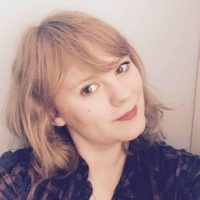 After working with Heritage sites across the UK, Amy is excited to help promote and represent her immediate contextual history at Insole Court. Local to Cardiff, Amy attended Howell’s School and has been reacquainted with the loaned furniture housed in the Dining Room and ex-teacher volunteers! Following school she undertook an Art and Design Diploma for a year of playtime, before completing a BSc and Masters in Architecture. She enjoyed balancing her studies with work in hospitality and customer service and has always loved tutoring and learning about the psychology of people. After working in Conservation Architecture for a time, gaining experience with restoration and regeneration of other listed buildings, and dabbling with freelance design and illustration work, Amy realized that although she had a love for Heritage buildings, her passions lay with the people, the interpretation of these stories and the engagement of the communities and individuals that gradually add to the history. Amy also works as a primary school art teacher part-time, and intends to start training in counselling or therapy. She can also be found travelling, wandering about in nature or escaping into books! Like the rest of the team, Amy has a passion for the wellbeing of both humans and their natural environment.